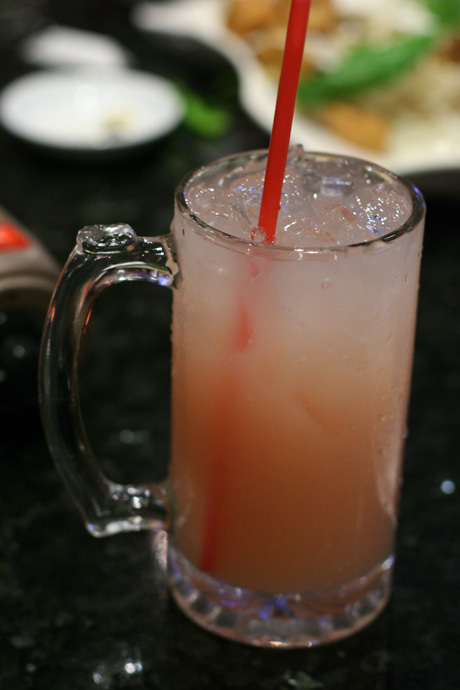 Insadong Korean Restaurant (website, map, photos, 403 North Road, Coquitlam, BC, Canada, phone: 604-936-3778) is one of my new favorite places to go for Korean food in the Greater Vancouver area. It’s located just on the Coquitlam side of North Road, near Lougheed Mall in Burnaby. It’s within walking distance of the Lougheed skytrain station. Love to be there. 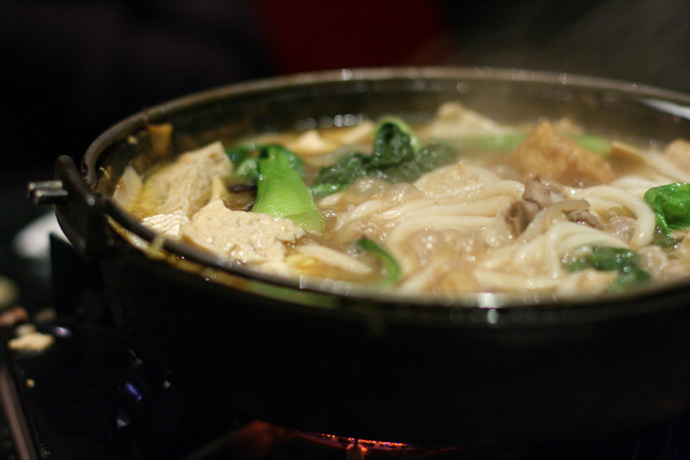 I have been in this restaurant a few time and every time I was there it was a pleasure for a spicy Korean style. The taste of the food was so impressive with a big portion of Kim chi and beef. 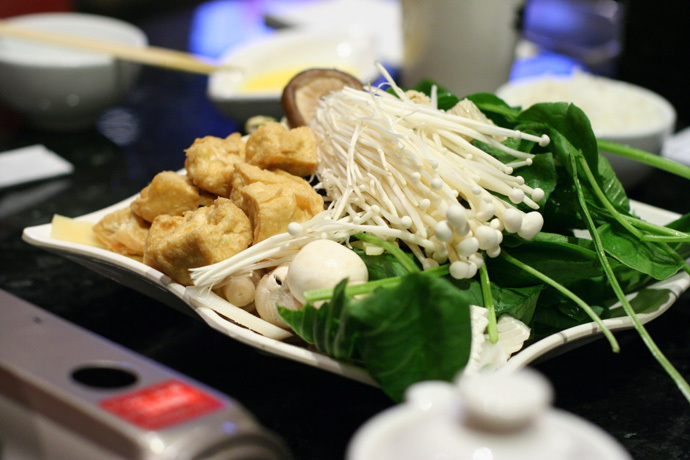 Shabu hot pot beef was my favorite food there and big.. even it was a small size. The taste was rich with a healthy vegetable and tasty Kim Chi ingredients. The service was fast and excellent as well. Keep maintain the quality and services like this, I will be back again. Prices for a full meal range between $10 and $20 per person depending on which dishes you order. 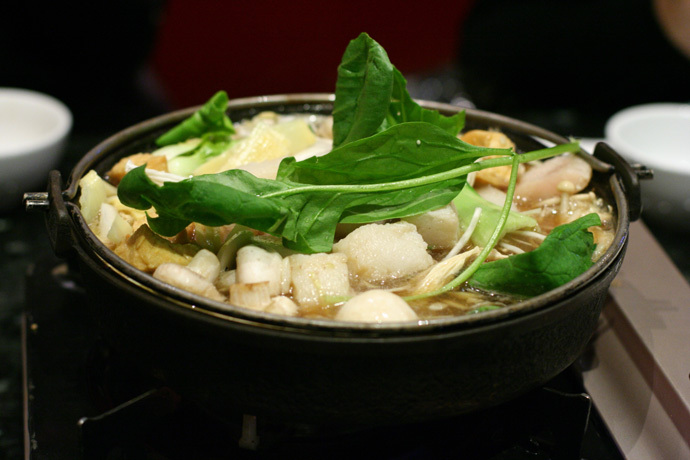 The spicy soft tofu soup (with seafood, pictured below) is $8.99 and comes with a side of rice and all the usual Korean accompaniment dishes like the kim-chee (traditional spicy cabbage), the candied cooked potatoes (my favorite), sprouts, and more. The soup and side dishes are a meal in themselves. 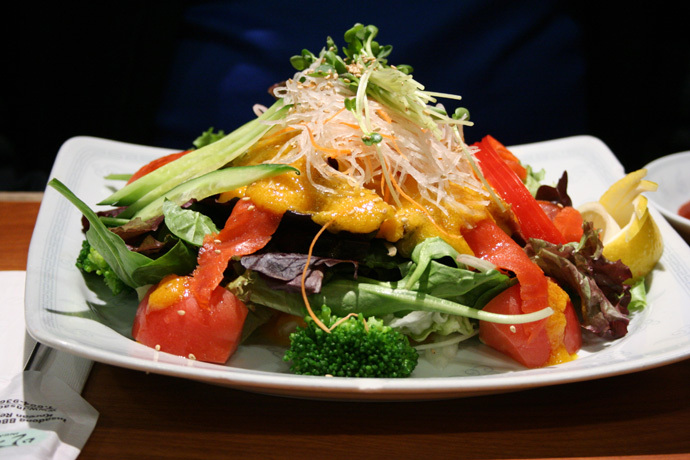 We also ordered some fancy salads such as the Smoked Salmon Salad ($7.99) and the Seafood Salad ($9.99) which were amazing “fusion” style dishes with great Korean influences but also making use of West Coast ingredients. Below are some photos I took of the restaurant and our meal. I’ll definitely be back! 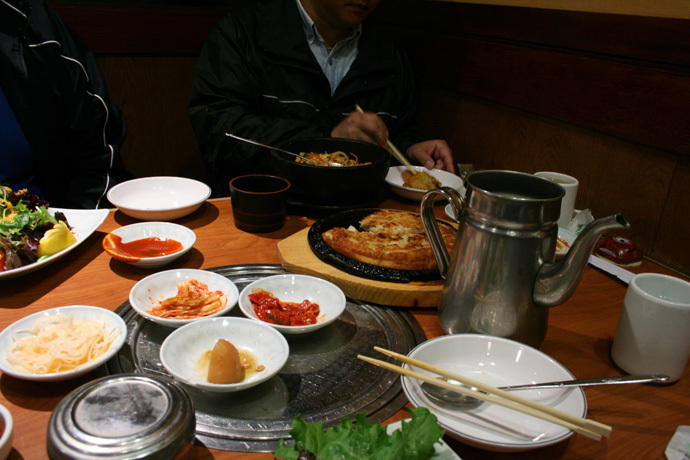 Korean food from Insadong Korean Restaurant in Coquitlam BC Canada. 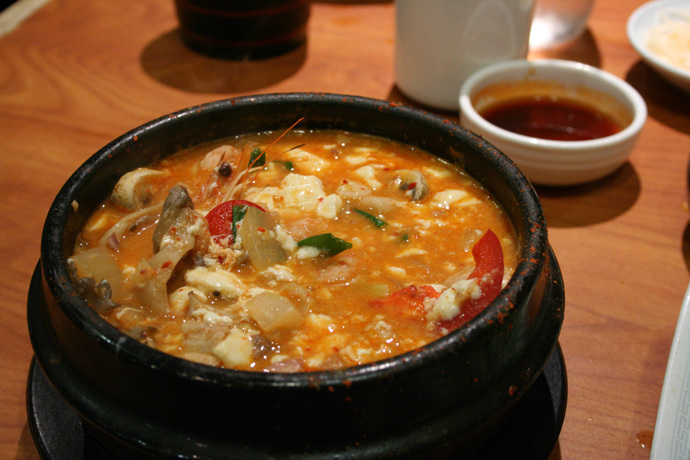 Spicy soft tofu soup from Insadong Korean Restaurant in Coquitlam BC Canada. 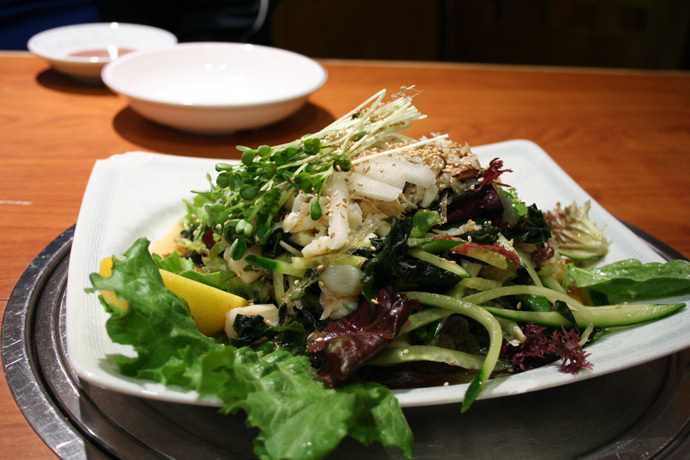 Korean Seafood Salad from Insadong Restaurant in Coquitlam, BC, Canada. 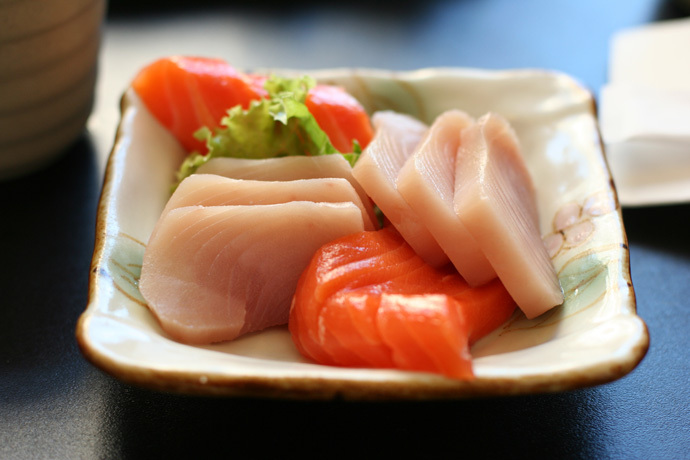 Fish On Rice Japanese Cuisine (website) is a popular Japanese “all you can eat” restaurant chain with two locations in the Vancouver area. Their location in Burnaby (map, #201-4361 Kingsway, Burnaby, BC, phone: 604-439-8882) is about a 5 minute walk from the Patterson Skytrain station. Fish on Rice’s Vancouver restaurant (map, 1414 W. Broadway, Vancouver, BC, phone: 604-732-0112) is located at Broadway and Hemlock (one block from Granville), and has a patio. 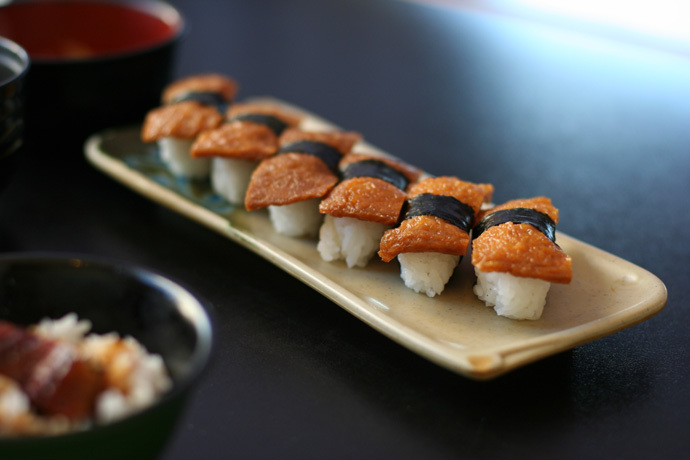 “All you can eat” sushi is a very popular phenomenon in Vancouver, and Fish on Rice does it well. 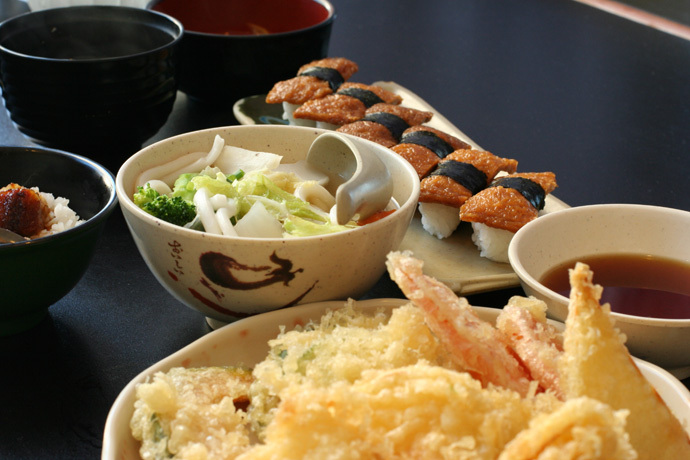 The Japanese buffet at Fish and Rice costs $11.95 for lunch (served from 11am to 2:30pm) or $20.95 for dinner (served between 4:30pm and 10:30pm). Their happy hour ($13.95) is between 4:30pm and 6pm. At Fish on Rice, similar to other All You Can Eat places in town, you make your order by writing desired quantities next to items on a little piece of paper. Pass the paper to your server, and the food will start arriving as it’s ready. Take care: if you write an order that’s too large, the food will just keep coming! Or if you didn’t order enough, you can request more forms when you need them. 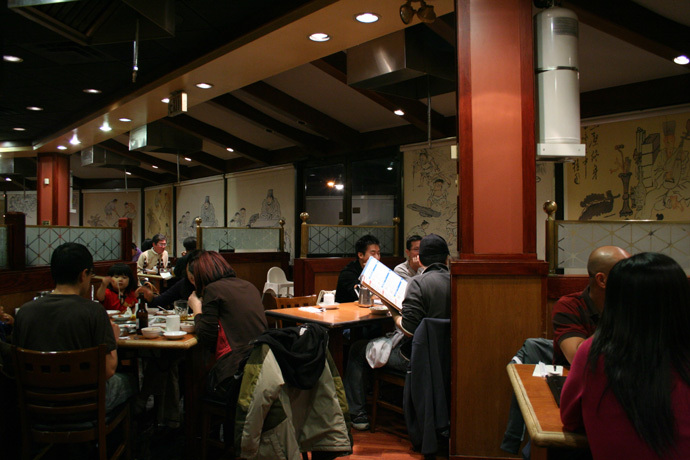 At the Burnaby location, there are many large private tatami booths with inset tables (where you take your shoes off to dine while sitting on cushions) – these are great for large groups or families. There are also a bunch of regular booths and tables for couples or smaller parties. 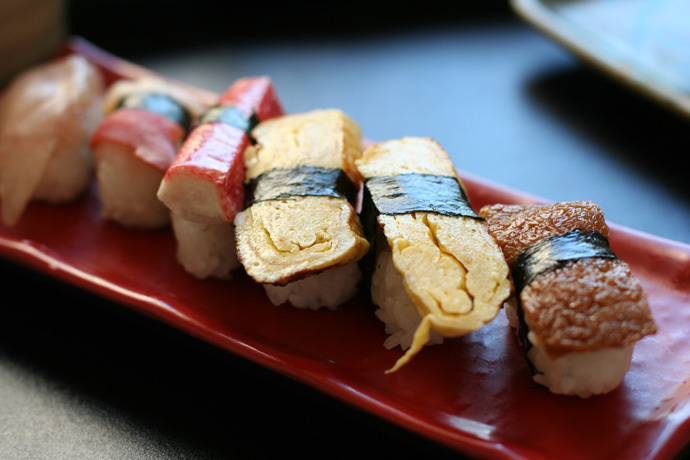 Below are some pictures of the delicious sushi and other Japanese items we ordered. Note that the restaurant serves all the popular kinds of sushi such as California Roll and BC Roll, but being sushi aficionados we ordered a bunch of less common items to explore the large and varied menu. Assorted Tuna and Salmon Sashimi from Fish on Rice Japanese Cuisine (all you can eat) in Burnaby BC Canada. 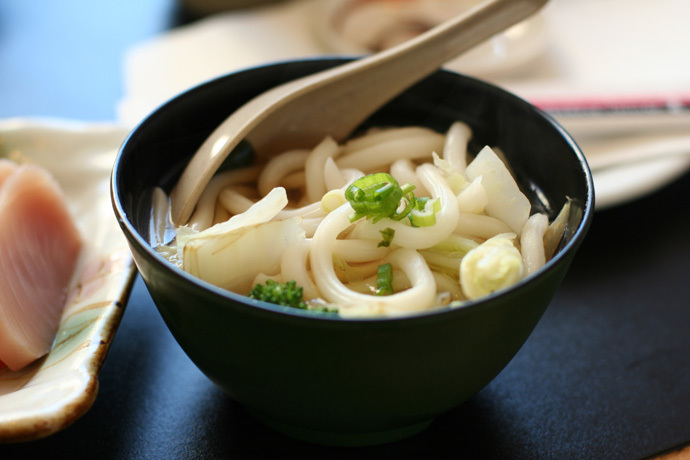 Vegetarian Udon Noodles from Fish on Rice Japanese Restaurant in Burnaby BC Canada (All You Can Eat). Vegetable Tempura (pictured in front) plus other assorted Japanese dishes (from Fish on Rice Japanese All you can eat buffet restaurant). View More Restaurants in the Burnaby category. 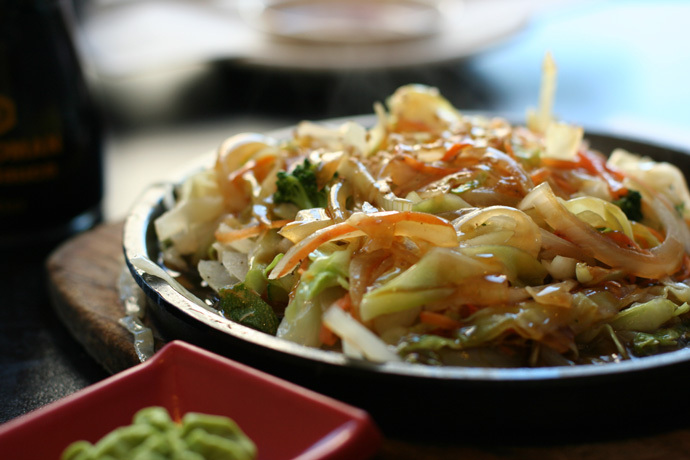 We hope you enjoy the great Burnaby restaurants on Dine Out Here Vancouver.